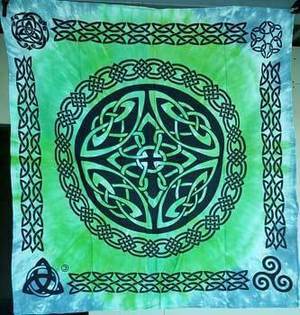 Tie dyed in greens and blacks, this powerful shield in celtic knots can be used for altar or your favorite space. 100% cotton. 36"x36"
Gold Bordered Pentagram 36" x 36"
Triquetra Altar Or Tarot Cloth 24" x 24"